Bask in the glory of Pinnacle Mountain and the Blue Ridge Mountain Range, located in Pickens County. Table Rock State Park’s scenic preserve puts you in the middle of breathtaking nature. You can also participate in select dates of “Music on the Mountain,” a unique ‘bluegrass jam’ that combines traditional music with the great outdoors. If an oceanside state park is more your scene, visit South Carolina’s popular destination of Myrtle Beach. While this tourist-centric area is chalked full of souvenir shops, restaurants and theme parks, the state park is a break from the hustle and bustle. The maritime atmosphere is perfect for summer and offers visitors a peaceful place to fish, camp and experience unbeatable views. This hotspot is popular for a reason. Packed with stunning waterfalls, a gorge and the rapturous Lake Jocassee, Devil’s Fork is the perfect destination for catching some gorgeous views. Make it a day-trip or set up camp and see if you can spot the endangered Oconee bell wildflower. Embark on a journey through the wilderness at Caesers Head State Park. Views of mountains, 11,000 acres of forest and the towering Raven Cliff Falls make this summer stop a worthwhile one. Adventurers can hike the Raven Cliff Falls hiking trail for some serious sightseeing. Our list is only the beginning. 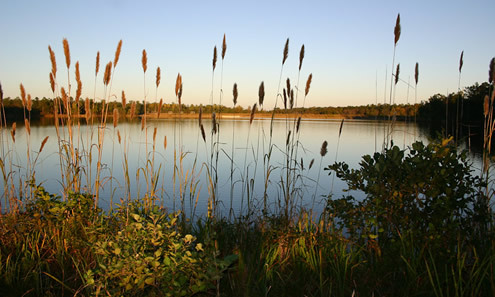 To view a full list of Lake Carolina State Parks, click here. To learn more about making South Carolina your home, explore our new homes in Columbia, SC.